The Girard Mandrel Pigs’ cups and disc are available in Polyurethane, Neoprene and Nitrile in various durometers for superior scraping and sealing. They attach to the Girard Mandrel Pig either through a center-hole for smaller sizes (standard 3” thru 14”) or bolt-hole circles for larger sizes (standard 16” and up). The number of cups and discs as well as their arrangement can be customized to accommodate certain application and desired results. This gives the Girard Mandrel Pig the ability to overcome some of the most difficult pipeline obstacles such as short pipeline bends, tees and multi-diameter pipelines. The ability to add Brushes, Magnets, Gauging Plates and other options to the nearly limitless configurations of the Girard Mandrel Pig make it an excellent choice for pipeline cleaning, batching, gauging, displacement, bi-directional, dual-diameter, hydrostatic testing and removal of paraffin and scale build-up. Girard can custom design a steel mandrel pig to meet your specific pipeline needs. Brushes, magnets, gauging plates, transmitter housings and dual diameter configurations are available for most sizes. The GBC is available with 2, 3 or 4 scraper cups. 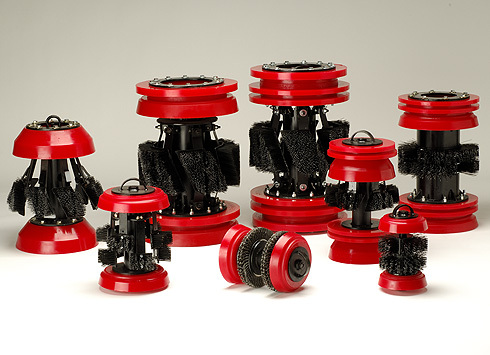 The GBDX6 is a six-disc bi-directional pig with 2 guide discs and 4 sealing discs providing exceptional performance. The GBD is available with 2, 3 or 4 disc configurations for bi-directional applications. CLEANING & BATCHING: Cup & Disc Combinations for pipeline scraping, liquid removal, batching and gauging. 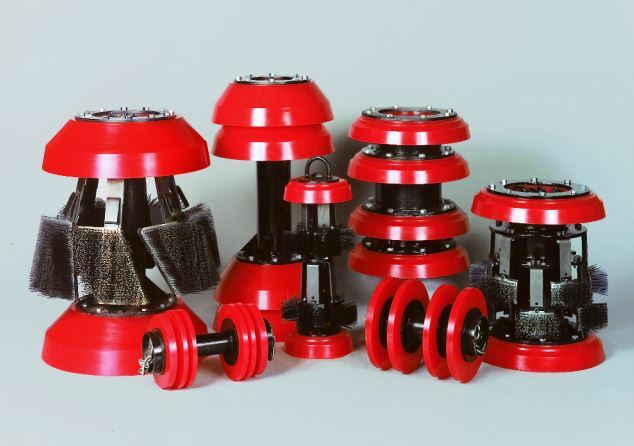 BRUSH PIGS: Cup & Disc Combinations with varying brush styles for more aggressive pipeline cleaning. 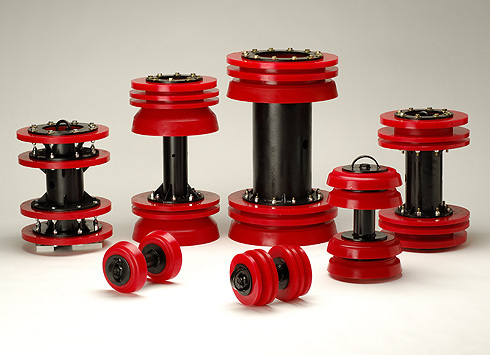 REPLACEMENT SPARES: Cups & Discs designed to fit the Girard Mandrel-Pig as well as any other pig body on the market.